There are many different kinds of educational options that we can enroll our children into, such as a preschool. However, what does a preschool teach, and is an early education something that is worth your time and the time of your little one? The short answer is, yes. Early education is one of the best things you can provide for your little one. This is because it will not only give them a head start on many of the subjects they will experience in school, but it will also help them understand them better. One of the things that your child will experience in a preschool is the various academic subjects such as math, English, science, and more. Even though these are just basic versions of what your little one will learn in school, they can still help give them a head start. They will be able to learn what to do with many of the subjects, which will make it easier for them to understand them in the future. 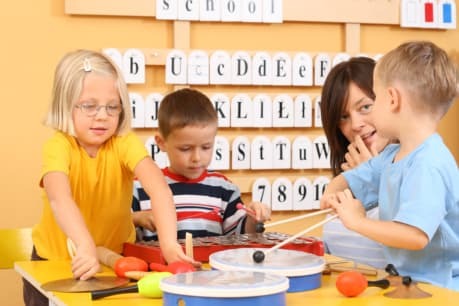 Preschools teach a wide range of artistic subjects from music to art. These subjects are not only fun and enjoyable for your little ones but they can also play a large role in their cognitive development. Art is a crucial aspect of any educational program, and it is something that can even help your children do better in other kinds of subjects. For example, music can help your little ones understand math much better. A preschool can help improve various social skills. We can help improve your little one’s leadership skills, communication skills, problem-solving skills, and more. This will help them function better in groups, overcome problems easier, and communicate what is on their mind clearly. This entry was posted in Preschool Subjects and tagged Academic Subjects, Artistic Subjects, Social Skills. Bookmark the permalink.